A toast is the perfect way to recognize a special occasion or celebration, especially during New Year�s Eve and New Year�s Day. But what is the appropriate way to make a toast? Follow the host�s lead. 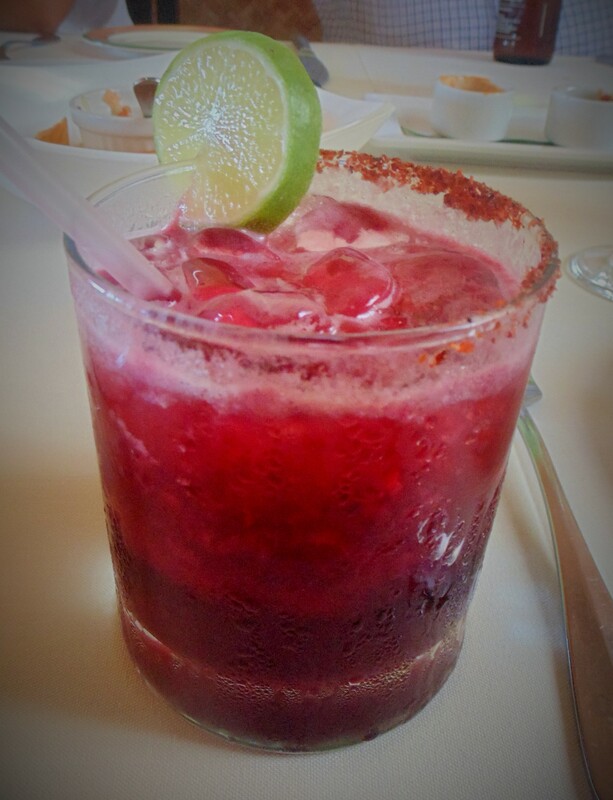 It�s appropriate for the host to propose a toast at the beginning of the meal to welcome all the guests. After the host makes his toast, anyone else can propose a toast. Keep it brief. The toast is more memorable if you keep the three S�s in mind: keep it short, simple and sincere. Remember, you�re giving a toast, not a roast. Toast during the beginning or at the end of the meal. A toast is most appropriate before everyone begins eating or during the dessert course. Everyone drinks except the guest of honor. If you�re the one being toasted, don�t touch your glass or don�t drink to yourself. It�s like patting yourself on your own back. When the host sits down, you�ll be expected to return the toast and then you may drink. Always participate in a toast. Even if you don�t drink alcohol, it�s perfectly acceptable to toast with a soft drink, a glass of sparkling cider, or mineral water. Or you can raise a glass of wine or champagne to your lips, pretend to drink it and then set it aside. The Paso Robles Wine Country Alliance (PRWCA), in conjunction with the Cambria Tourism Board, San Simeon Tourism Board and Wine Coast Country announced a new partnership to bring a Paso Robles wine event to the north coast of San Luis Obispo County. On February 21, 2015 the 1st Annual Paso BlendFest on the Coast will showcase the best characteristics of each partner, combining the scenic beauty of the coast with Paso Robles Wine Country, only miles away. Held during off season, BlendFest is sure to become an annual marquee event helping to promote stays at the area�s lodging properties and celebrate Paso Robles Wine Country in a beautiful setting. BlendFest will invite visitors to San Simeon and Cambria to Grow Wild beyond a glass of everyday wine and will feature 25-30 of Paso Robles� renowned wineries, each featuring two distinct blends! Held at The Cavalier Resort in San Simeon, guests will be able to enjoy spectacular wines, only surpassed by the stunning coastal views. In order to maximize the experience, BlendFest on the Coast is a multi-session event featuring two unique events for two audiences. Session one, held from 1 to 3 p.m. will be limited to 150 guests and feature wine tasting for $40. Session two, the �Sunset Tasting,� will be held from 4 to 6:30 p.m. with tickets limited to 120 guests at $65 per person. This tasting will also feature passed appetizers and live music. �We are pleased to join with the Paso Robles Wine County Alliance to host the first annual BlendFest,� said Michael Hanchett, Chairman of the San Simeon Tourism Board. �Our place on the coast is an environmentally and culturally rich area, which we look forward to showcasing through this event and encourage people to take in the many other attractions which make San Simeon and Cambria special. San Simeon and Cambria hotel guests will receive discounted admission with their hotel stay at participating lodging properties as well as a Paso Wine bottle holder. Tickets go on sale via Ticketweb.com on December 1, 2014. Additional complementary events are in the works, including a winemaker dinner. February 2015 also marks the second annual Coastal Discovery & Stewardship Month honoring California�s rich heritage, Highway 1 Discovery Route, and the country�s first Stewardship Travel Program (STP). Coastal Discovery & Stewardship Month details can be found here - www.winecoastcountry.com/events/coastal-discovery-stewardship-month. Tea is not just for tea-time. It�s great any time of the day and the year. Tea can both add a new twist to the same old holiday fare AND support holiday overindulgence, which means it can not only complement a rich meal, it can also help you recover from it! 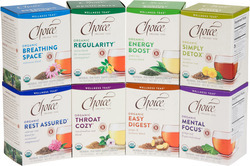 Instead of grabbing a cup of coffee at the end of a heavy meal, try the Choice Organic Teas Easy Digest tea. This warming tonic was formulated to aid digestion and relieve occasional indigestion, which often happens after a big Thanksgiving dinner! The party is often just starting up after dinner, and with a belly full of turkey, one sometimes needs a little boost to go the extra mile! The Choice Organic Teas Energy Boost Tea is a fantastic compliment to a busy schedule--this crisp, lively blend supports healthy energy levels and vitality with energizing green tea. sophisticated tea makes it the perfect compliment to sweets. Consider making a delicious pumpkin bread for a Thanksgiving morning brunch item or a hostess gift for all of those holiday parties. This Chai Pumpkin Bread blends warm and spicy chai tea with yummy pumpkin for a fantastic holiday treat. Preheat oven to 350. In a large bowl, use a mixer to beat together sugar and butter until light and fluffy. Add pumpkin, eggs, chai tea liquid, and vanilla and stir until well combined. Add flour, baking powder, baking soda, salt, and spices and stir just until evenly moistened. Pour into prepared 8" loaf pan. Bake 45-55 minutes, or until a toothpick inserted comes out clean. Cool at least 20 minutes before serving. on traditional holiday spirits (serves 4). 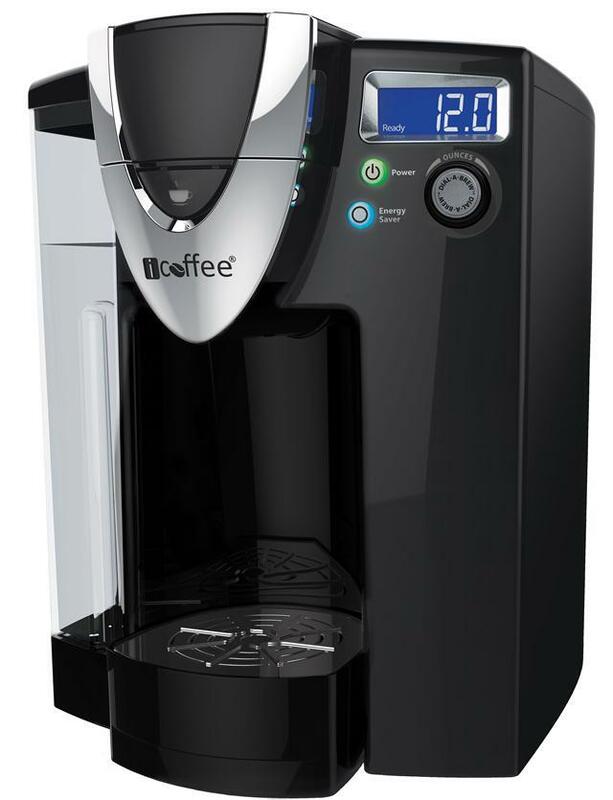 magine a cup of coffee from a single serve brewer with the same smooth, rich flavor that comes from America�s favorite multi-cup SteamBrew machine. Taste: iCoffee Opus uses SpinBrew technology to spin, steam and stir coffee grounds inside the single serve pod, releasing maximum flavor and minimizing acidic or bitter aftertaste. Convenience: iCoffee Opus brews 10 ounces in less than a minute. Compatibility: iCoffee Opus works with all varieties of K-Cup, RealCup, One Cup and private label cups. Customization: iCoffee Opus features Dial-a-Brew technology, allowing you to brew any size cup between 4 and 12 ounces in .5-ounce increments. Sustainability: iCoffee Opus features an Energy Saver Mode and is compatible with iCoffee�s own iCup Reusable, a reusable cup allowing users to enjoy the freedom of choosing their own coffee grounds and resulting in fewer single serve cups in local landfills. We believe that you will find the coffee produced from iCoffee�s single serve brewing system to be faster than fast, hotter than hot, and smoother than smooth � it is the flavor coffee lovers have come to expect from iCoffee with the convenience of a single-serve machine. Additional information can also be found at www.iCoffee.com. Patrick Reynolds, bartender at Wildcat Lounge and �Farm to Bar� columnist at the Santa Barbara Independent, created Manāw a trois, an original concoction that has been crowned the best lemon cocktail in Los Angeles by Limoneira. Reynolds competed against some of Southern California�s most talented and distinguished bartenders as they mixed up their most inventive recipes at the Sofitel Los Angeles at Beverly Hills in November. This event officially kicked off an international series of Limoneira mixology contests that will take place around the world throughout 2015. Translated, Manāwa means �lemon� in Thai. In this Thai-inspired cocktail, Reynolds uses lemons three ways, thus the cocktail�s name, Manāw a trois. The balanced flavors remind the palate of Thai food: spicy, aromatic and exotic. The panel of judges included Hadley Tomicki, Editor at Urban Daddy; Lanee Lee, contributor to Voyage Vixens and FoodableTV; Elana Lepkowski of Stir and Strain; 12 Bottle Bar�s David Solmonson; and Beth Fisher of Busy Beth�s Blog. While competitors mixed it up, party guests watched the bartenders in action while enjoying other party refreshments including assorted hors d�oeuvres and desserts prepared by Chef Marius Blin of Sofitel Los Angeles, Diabolo sparkling French soda, internationally-inspired wine blends from Four Brix Winery, handcrafted Italian liqueurs from Ventura Limoncello Company, and lemon-centric libations from Greenbar Craft Distillery. Guests also had the opportunity to sample the competing cocktails that were created that evening. Other contest participants included Vincent Anter of FIG Santa Monica, Christopher Hewes of Argyle Hollywood, Michael Nemcik of Red Clay, Melodie Murphy of James Republic, Nic Hirsch of Montage Laguna Beach, Brian Leon of Nobu and Ferrari Watts of Riviera 31. Upcoming contests following the Los Angeles kick-off will be held in other major U.S. and international cities including Chicago, New York, Lima and Hong Kong. Reynolds will eventually compete with other top mixologists from around the globe in a final round for a chance to win a grand prize. 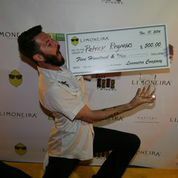 Limoneira�s Los Angeles mixology contest took place on Tuesday, November 18 at the Sofitel Hotel Los Angeles at Beverly Hills. Patrick Reynolds� career as an award winning bartender started the day his professional cooking career ended. Exhausted and at risk of burning out in the kitchen, he considered throwing in the towel on his culinary career. Rather than lose one of his rising stars, Chef Ron True, owner of Epiphany (now Arlington Tavern), made the life changing suggestion of transferring Reynolds from the line to the bar. There, Reynolds would still be able to put his culinary degree to use and would be granted all the creative freedom he�d been yearning for. Over eight years later, Patrick is now recognized as one of the top mixologists in the region, known for his �Farm to Bar� column in the SB Independent (www.independent.com/staff/patrick-reynolds) and creative use of home grown ingredients, particularly herbs, citrus and home-made �shrubs�. 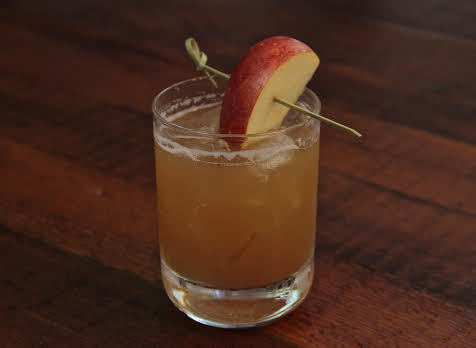 When he�s not acting as Brand Ambassador of Cutler Artisan Spirits, you can find Patrick leading tours through the Santa Barbara farmers market and making daily menus from his findings at The Wildcat Lounge with the motto, "Honor, awareness and, above all, respect." Limoneira Company, a 120-year-old international agribusiness headquartered in Santa Paula, California, has grown to become one of the premier integrated agribusinesses in the world. Limoneira (pronounced lē mon΄�ra), is a dedicated sustainability company with approximately 10,000 acres of rich agricultural lands, real estate properties and water rights in California. The Company is a leading producer of lemons, avocados, oranges, specialty citrus and other crops that are enjoyed around the world. For more about Limoneira Company, visit www.limoneira.com.